Longtime El Rio Grande regular Fred Ziegler, of Ziegler’s Music House, says our margaritas are “the best in town.” Without going into too much detail, let’s just say he’s more than qualified to make such a ringing endorsement. Not all margaritas are created equal. In fact, given how ours are crafted, we really should be charging double for them. Allow us to explain. Places with “cheap” margaritas on their menu serve just that: cheap margaritas. Order one of those less expensive drinks and you’re likely to get a shot-and-a-quarter of lackluster tequila. If you’re lucky, they’ll give you a shot and a half. Our El Presidente has a couple of splashes of Grand Marnier. That’s right: Grand Marnier. Not Grand Gallo. Not Triple Sec. Grand Freaking Marnier. Why? Because it’s El Presidente, not El Police Juror. At El Rio Grande, we pour three full shots of quality tequila. By “full shot,” we’re talking a 1.5-ounce jigger, not a measly 1-ounce shot. And when we say “quality tequila,” we mean good stuff many people choose to drink straight, like Sauza’s 100 Anos. Good luck downing a straight pour of that swill those other guys put in their cheap margaritas. 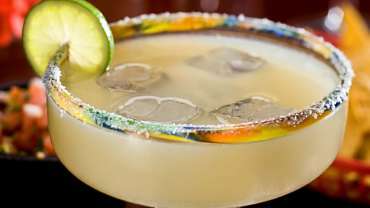 So come by El Rio Grande and taste for yourself why we say we have the best margaritas you’ll ever salt your lips with!